Over the coming weeks and months, we will begin publishing our exclusive interviews with paramedic training programs. Our goal in these interviews is to provide you with a better understanding of what each school provides its students, as well as information that’s specific to the application and education process. Below is our interview with paramedic program director Joseph Chappell. Mr. Chappell is the program director for Black River Technical College, located in Pocahontas, Arkansas. For a complete list of accredited paramedic schools in the United States, be sure to click on your state on our helpful map located here (please note that if your browser is blocking our interactive map, you may instead click on your individual state linked below it). Thanks for answering a few questions today, Mr. Chappell. Approximately how many hours of education and training does Black River Technical College require of its students? Can you talk about some of the benefits your program has to offer its students? What do you think sets your program apart from other schools that offer students paramedic training in Arkansas? Our program here is a Hybrid program with only one day a week in the classroom and approximately 12 hours a week spent on-line. We will work with students to try and make agreements with their local hospital and ambulance services so clinical time is more convenient and with people they know. In your opinion, what kinds of people are best cut out to be paramedics? What innate traits should they ideally possess? Paramedics must be self-confident without being arrogant. They need to be [an] aggressive type A personality but willing to listen to others and accept suggestions. Are there any resources you’d recommend a young person read or watch or use to help them better understand both what to expect from paramedic school, as well as the overall daily life of a working paramedic? I am sure there are things out there but most don’t accurately portray life as a paramedic. The better they know Anatomy and Physiology the more success they will have. From your experience, are paramedic students that have previous EMT work experience better suited to succeed in your program? And if so, why? Students that have field experience make better paramedics but have more problems with the NREMT than those with less experience. 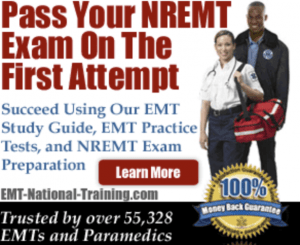 The field work is dynamic and if you have experience in the field then NREMT is all at entry level so it is geared for people with no experience. This makes it harder for those with experience to pass. However experience is the best teacher out there so those with this experience make better paramedics in the long run. For prospective students reading this interview who may not know, can you explain what the determining factors are for getting accepted into your program? What kind of students are you looking for? Acceptance into my program is easy, all you have to be is a card carrying EMT in the state of Arkansas. However, I have advised some students to wait for many reasons, generally maturity. To pass my program and become a paramedic, a student must be dedicated to becoming a medic. They are told day one that time off is mostly a thing that will have to wait until after medic school. We accept up to 20 students each year into medic school starting in the fall semester. Our Basic EMT can be started either in the spring or fall semester, which for the student beginning must start here. Are interviews a part of the application process for your program, and if so, what kind of questions are typically asked? We have two processes for this. If you are recommended by either an employer, instructor of your EMT class, or by members of the EMS community known to us, there is not an interview. If not, we ask simple questions such as why you want to be a medic and what kind of support [do] you have to go to school. And finally, what is your paramedic course schedule for 2013? When are applications being accepted and/or when do classes begin? Classes begin in August with the return to school. Class days will be on Wednesday from 8:30am to 4:00pm. Best thing to do is to call me, Joe Chappell, or my secretary, Renee, at 870-886-5750. Once again, for more information on this particular paramedic program, be sure to visit the official website for Black River Technical College.